Regulates perspiration with aluminium salts. 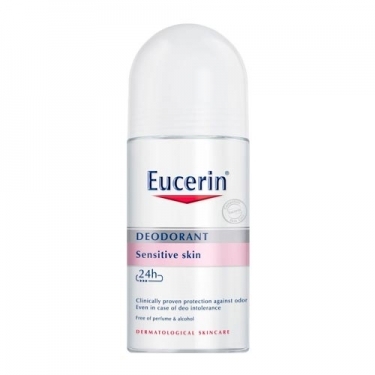 DESCRIPTION: Deo Sensitive Skin 24h from Eucerin is a long lasting deodorant, specially formulated for sensitive skin, which can however be used by all skin types. 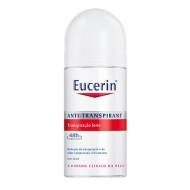 Its formulation with neutral pH respects the natural defences of the skin. It also contains aluminium salts, which block perspiration, avoiding sweat and bad odours. This roll-on contains soothing properties that do not irritate the skin. No alcohol. Without perfume. No dyes.